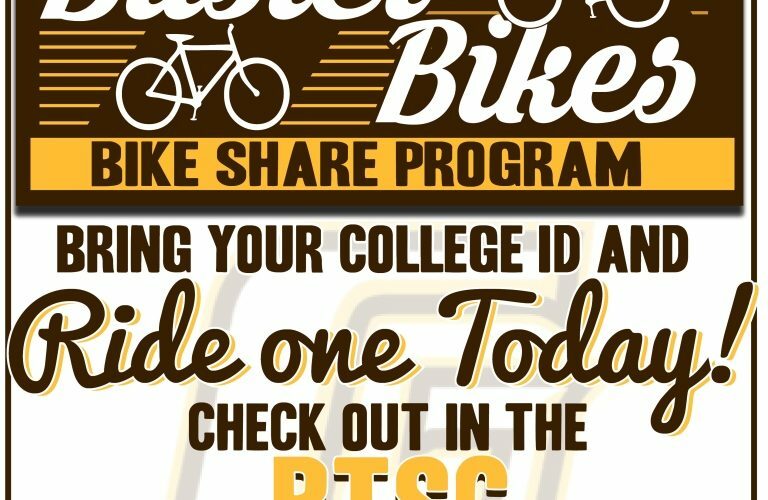 GARDEN CITY — Garden City Community College’s Student Government Association (SGA) started the “Buster Bikes” bike share program on February 7. 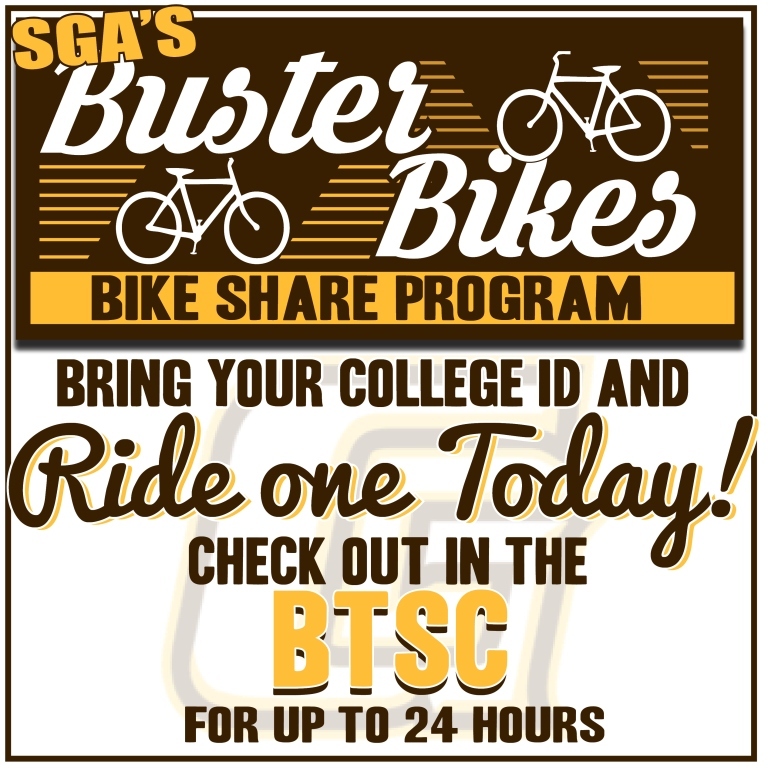 Buster Bikes is a bicycle checkout program for GCCC students who may want or need an easy and efficient transportation solution within the city limits. The SGA Student Activities Center acquired six bicycles to begin the sharing program. According to SGA Advisor, Lauren Rockhold, the idea came from Nhic Aponte, a former SGA member and SGA President. Aponte saw students walking to Walmart and thought that if SGA could offer them a means of transportation, it would make their lives much easier. Another motivating factor for the decision to bring a bike share program to GCCC was how earth-friendly the bikes are, and the fact that many students may not have access to a car. Students must bring their current GCCC student ID to the Student Activities Center in the Beth Tedrow Student Center to check out a bike, and all bikes must be returned within 24 hours of checkout. Contact lauren.rockhold@gcccks.edu or call 620-276-0474 for more information.